December | 2014 | Andres Carrano, Ph.D.
Posted on December 4, 2014 by Andres Carrano Ph.D. 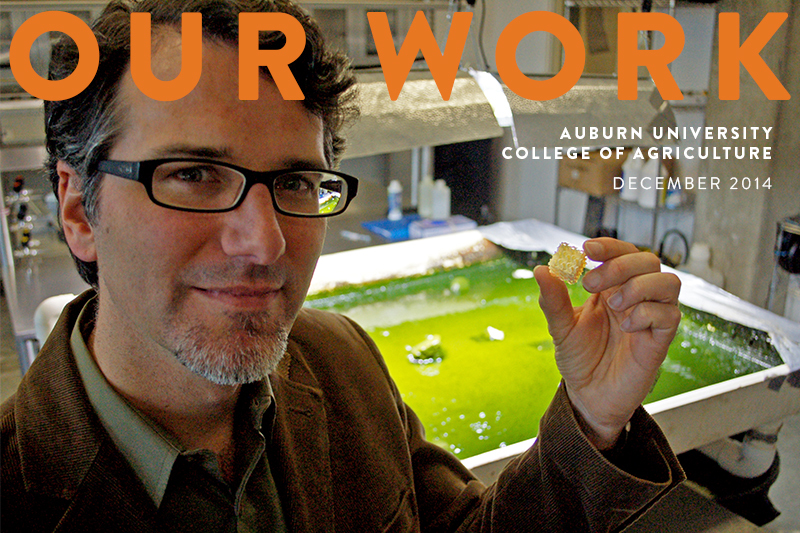 The 3D Printed Biosurfaces Lab and the work on algae cultivation on 3D printed surfaces has been featured in “Our Work”, the magazine for Auburn’s College of Agriculture. In particular, my colleague and lab co-director is interviewed. Please check on the following link for the full article and scroll all the way down for the video of the lab and interview.